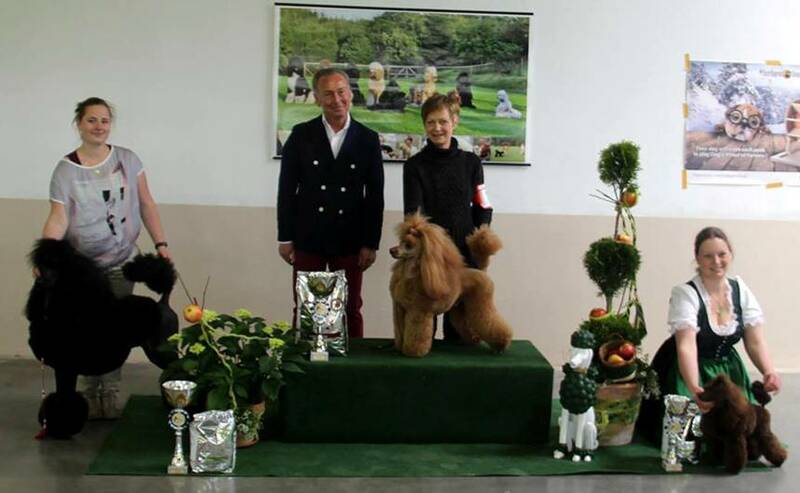 that she has entered Buddy again in Stetten at the Show of the "glassy Poodle"
and the 2nd reason was that he already finished all other titles in Austria. So there was no reason for him to be shown there. That‘s why I asked Gundula what she wants at this show? The awnser: Making Best in Show!!! 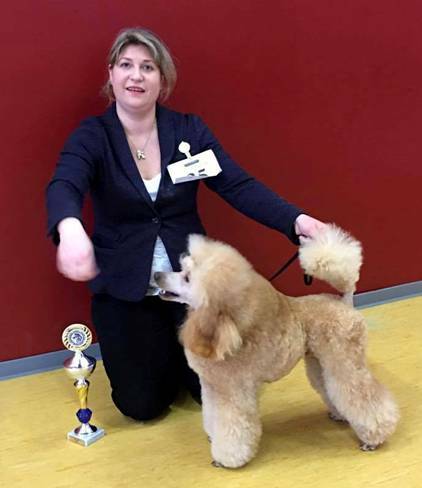 Thus he was best poodle of almost 50 entered poodles of all sizes and colours! 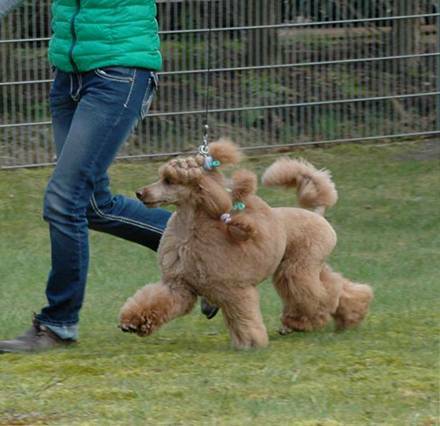 And he won the „glassy Poodle“ again of course! Judge was the Austrian Group Judge Guenther Ehrenreich. 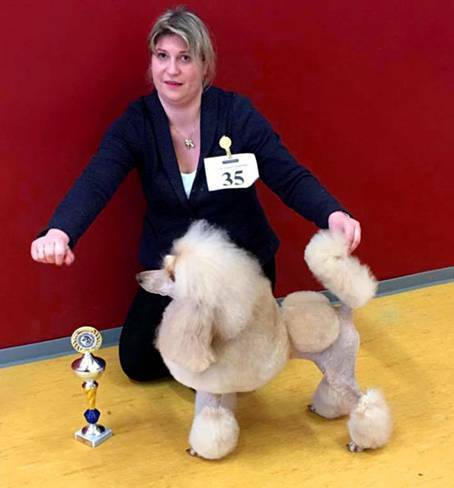 Another thank you to Julia Freier, who groomed our Buddy as always so nice . that you love Buddy so much and that you enjoy so much to show him!!! she was now shown the first 2 times in Junior class in Poland. which is only once a year. 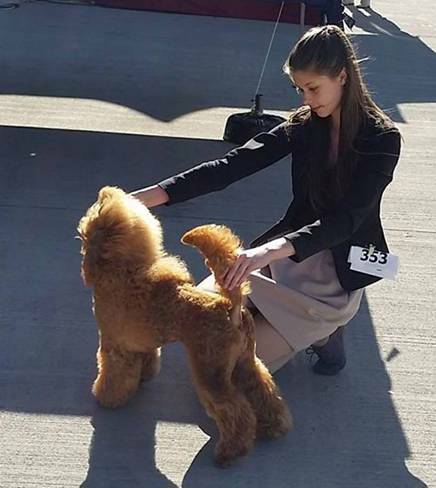 became Junior BOB and even Best of Breed (BOB)!!! 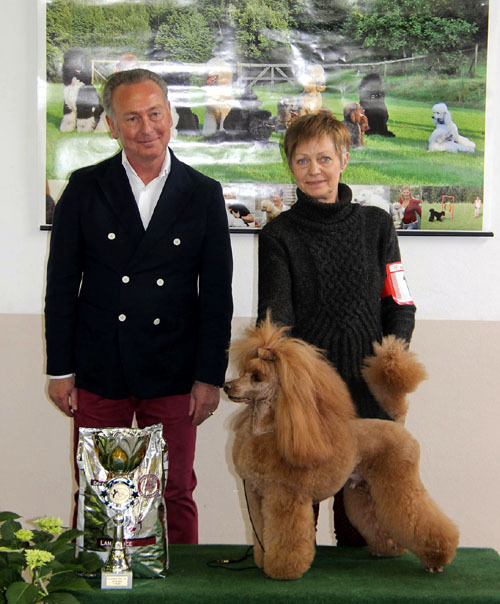 and also to well known judge Adam Ostrowski, who judged in Opole at Clubwinner Show. 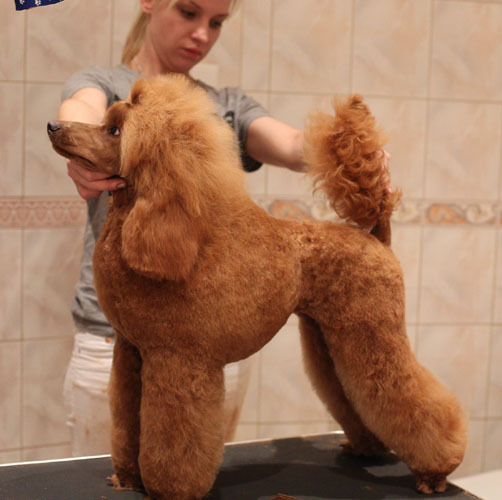 Many thanks to Russian Groomer Anna Bardysheva for this wunderful Clip, too. that you always try to give your best with Hula, although it is not easy during pregnancy! nachdem er ein erfolgreiches Wochenende in Nitra absolviert hat!!! und wurde darüber hinaus noch Bester der Rasse (BOB)!!! sowie den Reserve Anwartschaft für den Internationalen Champion. Herr Nodalli bescheinigte Buddy ein „vorzügliches Gangwerk“! Buddy ist nun in 9 Europäischen Ländern Champion!!!! Deutschland, Dänemark, Polen, Tschechei, Slowakei, Österreich, Italien, Luxemburg und die Niederlande!! !